This entry was posted in MFM Press Cuttings. Bookmark the permalink. SPECIAL CHINESE NEW YEAR EVENT CELEBRATES LIFE OF THE INNOVATOR OF MODERN CHINESE MEDICINE | MFM Blog on Farewell 2013, Welcome to the Year of the Wooden Horse! 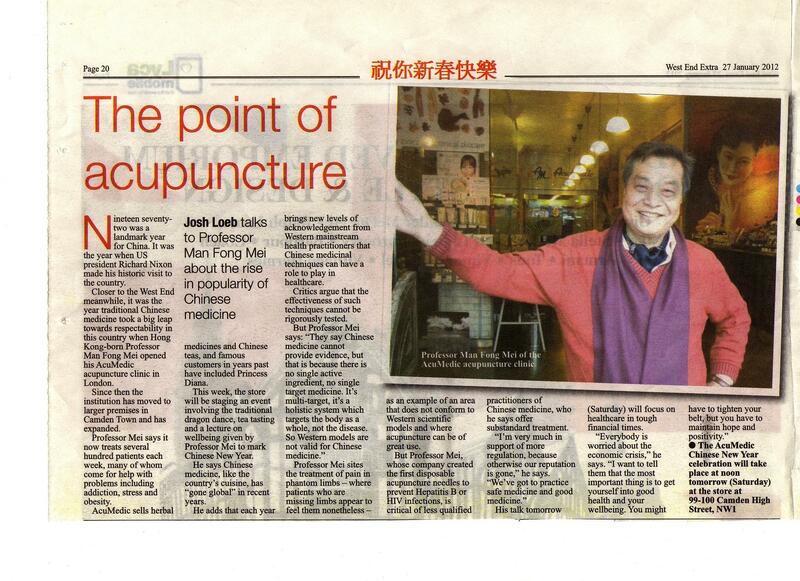 AcuMedic Clinic : SPECIAL CHINESE NEW YEAR EVENT CELEBRATES LIFE OF THE INNOVATOR OF MODERN CHINESE MEDICINE on Farewell 2013, Welcome to the Year of the Wooden Horse!